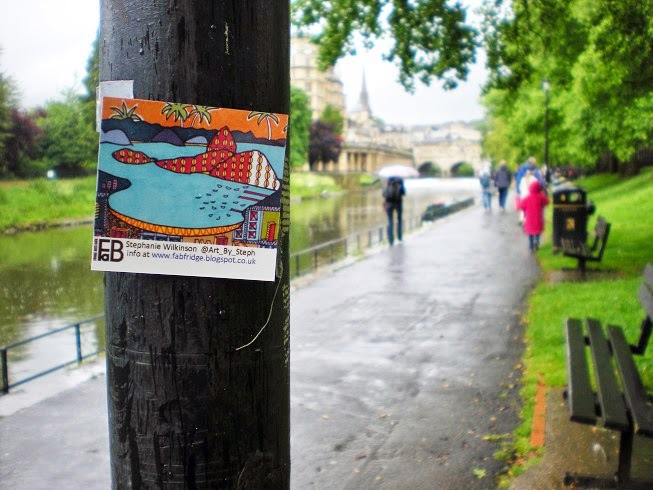 It was a little damp around the edges but luckily our magnetic art is all waterproof and our art is bright enough to catch the eye of eager Art hunters across Bath. 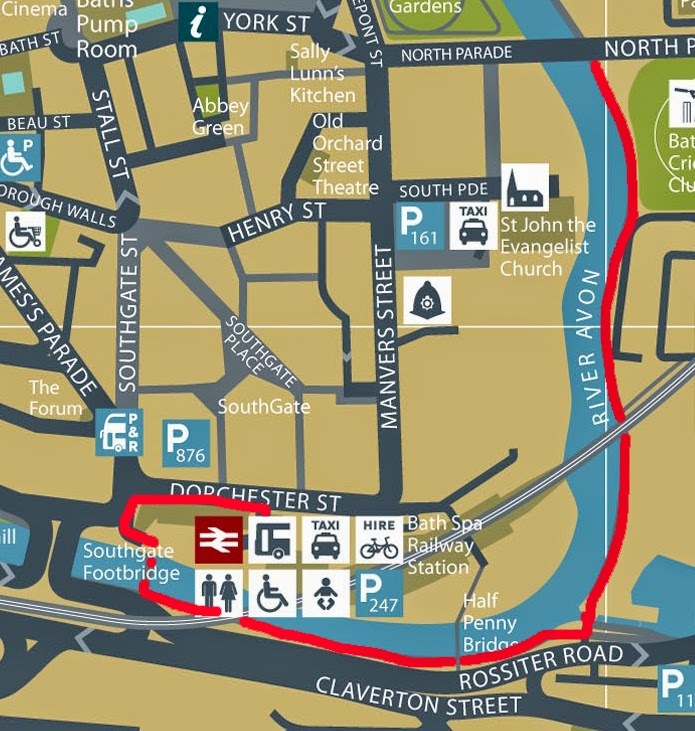 If you're looking for something to do over the next week or so then head down to the stretch of towpath that runs from Pulteney Bridge to Churchill Bridge (red route on our map). 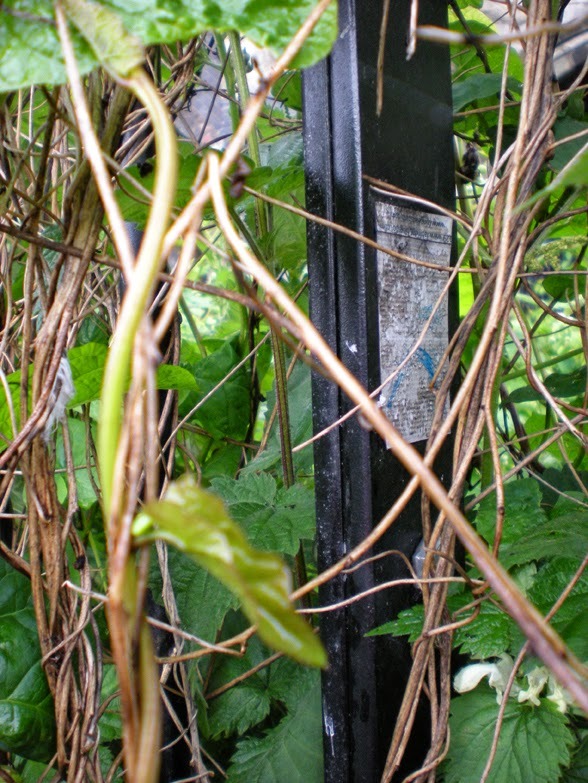 Here you'll find more than 320 magnetic artwork dotted on railings and benches if you look hard enough. If you find a magnet then it will include the name of one of our 124 artists and possibly their twitter address too. If you would like more information about your artist then visit our Artists page where you'll find a link to their website. 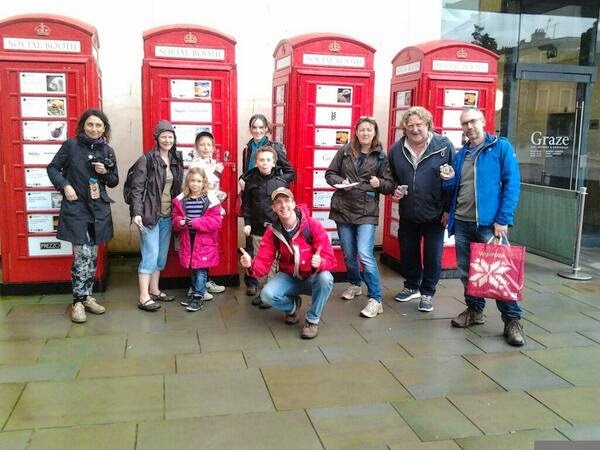 Our intrepid band of artists' donned their waterproofs and took the plunge into Bath's cultural melting pot on the 24th May 2014. If you want to find out where they placed them then check out the slideshow below. Along for the ride was Maria Lopez, Jack Gardner, Ginny Reddick with Kim and Kez, Jessamy and Natalie Low, Effra Aye-Maung-Hider, Maria and Bryan Benge, Alban Low and Dean Reddick. We had a wonderful time in Bath and were made very welcome by everyone at Fringe Arts Bath. It was amazing to see the diversity of Art on display at the various hubs around the city and we hope they will have us back again in the future. If you would like to exhibit with us in the future then drop us a line at collectconnect4@gmail.com and we'll get back to you. ps. If you think they've all gone then have another look. This year we found a magnet by Kim Reddick that had been in place since 2010! FAB Fridge Exhibition 2014 - Bath here we come!